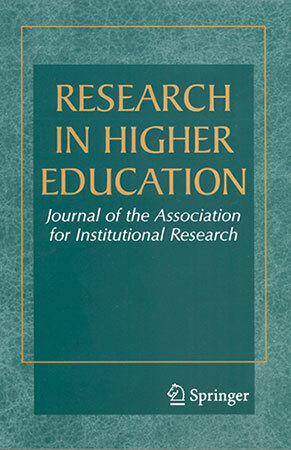 Research in Higher Education is published eight times a year and is open to research using a wide range of methods, but has particular interest in studies that apply advanced quantitative research methods to issues in postsecondary education or address postsecondary education policy issues. Among the topics of interest to the journal are: access and retention; student success; equity; faculty issues; institutional productivity and assessment; postsecondary education governance; curriculum and instruction; state and federal higher education policy; and financing of postsecondary education. Submissions are encouraged from scholars in disciplines outside of higher education, and studies from outside the United States that address issues that are of interest to the readership. Short notes are occasionally published of a methodological nature – literature reviews on topics pertaining to postsecondary research and “research and practice” studies illustrating how postsecondary research can inform decision making. More information about Research in Higher Education, including manuscript submission information, may be found at Springer Press.